Eastman DMA conducting student David Chin leads Bach’s St. John Passion at Malaysia’s Good Shepherd Church. For over 90 years Eastman has inspired people at home and abroad. It has led to exceptional performances of some of the greatest works ever written via tours of the Eastman Wind Ensemble, Eastman Jazz Ensemble, Baroque Ensembles and Philharmonia to far-off places such as Japan and Cairo, and Moscow and Vienna, but this summer, Eastman student conductor David Chin pulled off a first. Chin, a DMA student in choral conducting, is at the crossroads of Eastman-Asian relations as one of the “Name bearers” in bringing western music to audiences in Asia for the first time. I conducted an interview with David that highlights the importance of both the Eastman School of Music’s presence in Asia, and also the endeavor of bringing these immortal pieces to people who have never heard them. How did your Eastman training help you in your preparation for this momentous performance? If you were to ask me three years ago, St. John Passion was a work that I would never have dreamed of conducting, at least not so early in my life, let alone conducting it from the harpsichord. I am very thankful for my training here at Eastman, a terrific program with ample podium time for both choral and instrumental conducting. I am also extremely grateful for my mentor, Dr. William Weinert, because he had taught me so much, and encouraged me to conduct my very first Bach concert in the Spring of 2012. After that first Bach concert of my life (an orchestral suite, a cantata, and Magnificat), I fell in love with Bach and have not stopped studying and conducting his works ever since. Looking back, I think I would probably still have done nothing by Bach today if Dr. Weinert did not trust me enough to grant me that very first opportunity. In April 2014, I was invited by the Rochester Bach Festival to conduct St. John Passion for the first time. I graduated from Eastman then, but Dr. Weinert was very supportive as he came to my final rehearsal. I still remember I went up to him during rehearsal break and told him that I didn’t feel that I was mature enough to conduct this masterpiece. He smiled, and told me that I would be, one day in the future, when I had conducted it the fourth or fifth time. Never would I have thought, after that first performance in Rochester, I would conduct a premiere performance in Malaysia (August 2015), and I have also been invited to conduct the same work in Hong Kong next year (June 2016). What was the reaction of people there, hearing the music for the first time? There were two performances in Malaysia due to the limited space in the church. Both nights were sold out, and I could feel that the audience was very attentive, focused, and engaged. At first I was worried because classical music in general is not as common in Malaysia (think about this, we just now premiered St. John Passion – we have a long way to go! ), but the positive responses were overwhelming. Subtitles are projected in three languages throughout the performance (German – English – Mandarin), and the audience was able to follow. 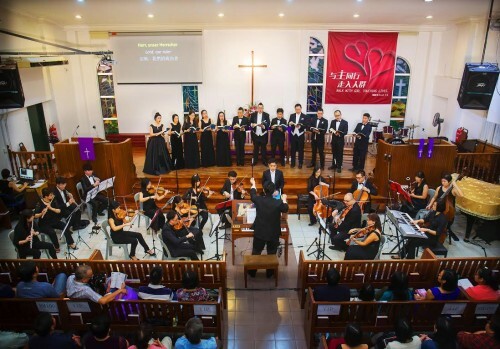 In addition, the Eastman “tradition” of having the audience sing the chorales during a Bach cantata has also been introduced to Malaysia through this concert. I personally think that the chorales were written for all to participate in, even during Bach’s time. The audience in Malaysia sang eight chorales with the performers. They were translated into English, and there were some very touching moments – I was in tears for a couple of times when the audience sang. What did this performance mean to you specifically? This performance marked a very important milestone in my life. First of all, this year is Bach’s 330th birthday anniversary, and also happens to be my 30th birthday. In addition, it is also my tenth year away from Malaysia and being in the States (I came in 2005). I was hoping to “give back” to my homeland through this concert. Another reason to do this concert has to do with my parents. They have never been able to visit me in the United States, and therefore they have not had an opportunity to see any of my performances here. I am very glad that my parents were able to witness this performance. Since this performance was my own idea it was not under any organization or institution, I had to do everything from A-Z on my own, including but not limited to: raising about $20,000, marketing, logistics, communication, and planning. Looking back, it was truly kind of an impossible mission and it took a great deal of faith, but I am thankful for the organization skills, networking, leadership and entrepreneurship that I developed at Eastman which prepared me for something like this. I still had to take some money out of my own pocket at the end, but I could not think of a better way to spend it. I started learning piano at the age of nine, but what really brought me into the world of classical music were sacred works and oratorios – choral-orchestral works. Therefore, this genre has always been my passion, and I hope to inspire and move more people through this music as I have been inspired and moved. What is the next project you are working on? I understand you are conducting the Eastman Rochester Chorus soon, what other performances are you looking forward to? Over the summer, I was invited to speak and conduct at the first ever East Malaysia Bach Cantata Lecture Concert Tour, bringing two Bach cantatas (BWV 30 and 62) to four major cities in East Malaysia where Bach’s music of any kind has never been performed or heard live. Four evenings of performances were almost sold out every night, and more than 2000 people heard Bach performed live for the first time in their lives! In addition to the Bach Cantata Tour and St. John Passion, I was also appointed as the Artistic Director and Conductor of the 2015 Hong Kong Bach Sacred Music Festival, and invited by the Kuala Lumpur City Opera (formerly known as the EST Opera) to conduct two all-Handel concerts. In the 2015-16 Season, I will be conducting Bach’s Cantata No. 75 at the opening concert of the Eastman Bach Cantata Series, Eastman-Rochester Chorus and Eastman Symphony Orchestra in Mendelssohn’s Symphony No. 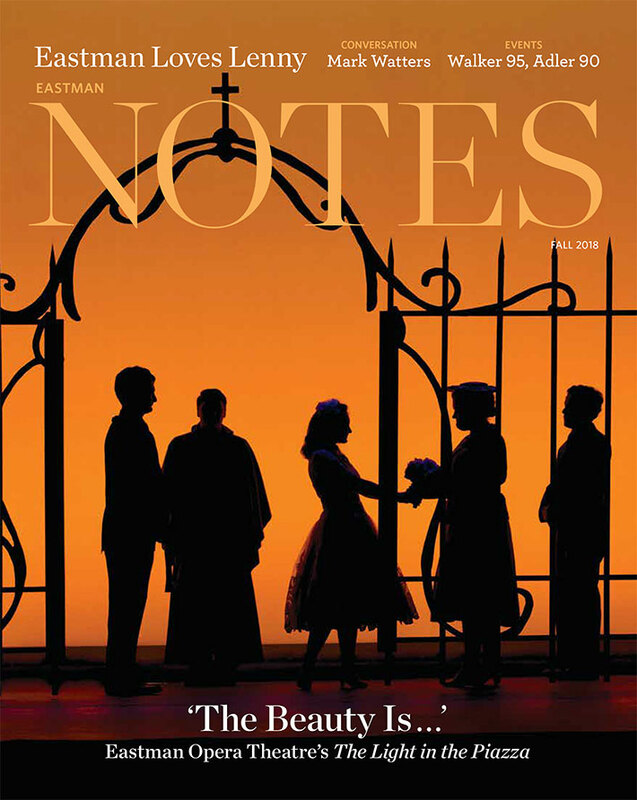 2 “Lobgesang” (Hymn of Praise), Haydn’s Lord Nelson Mass in Toronto, John Rutter’s Gloria and Finzi’s In terra pax at Roberts Wesleyan College, and several choral concerts with the Eastman Chorale and Roberts Wesleyan Chorale. How, through this performance and others, is Eastman’s influence felt throughout the world? Since coming to Eastman, my career has brought me to many countries and cities in the world such as Canada, Italy, Auckland, Hong Kong, Singapore, Indonesia, and Malaysia. I have had the privilege of collaborating with some of the finest musicians in Asia, such as members of the Malaysia Philharmonic Orchestra, Malaysia National Symphony Orchestra, Hong Kong Philharmonic Orchestra, and Hong Kong Sinfonietta, to name just a few. Some of them came to know the Eastman School because of our collaboration. I also continue to have the privilege of collaborating with several Eastman alumni in many projects in Asia. I would say that Eastman has definitely made a name in Asia, especially in the past 5 to 10 years, and I am very honored and proud to be one of the “name-bearers”. Is there any other quotes or pertinent information regarding this incredible premiere? Since moving to Rochester in 2010, the highly encouraging and motivating community here at Eastman and Rochester has helped me to take many “first steps”. These “first steps” then led to many unbelievable opportunities beyond Eastman. I remember several years ago watching Masaaki Suzuki (one of the most respected Bach authorities of our time) conducting the St. John Passion from the harpsichord on YouTube; my initial response was: “I want to be like him when I grow up”. And I would never have thought I could do it two years later – and I did, twice now, and it will be the third time when I conduct in Hong Kong next June! I don’t think I would have been able to do all that I am doing today if I didn’t come to Rochester and Eastman. I am beyond grateful! 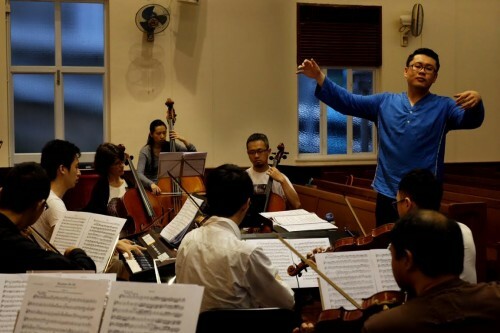 David rehearsing an orchestra in Hong Kong.